Laser Nail Treatment uses a specially designed, medical device that shines a laser/light beam through your toenail and targets the pathogens embedded in your nail bed and nail plate that cause toenail fungus. The laser light beam does not harm the nail or surrounding skin. Most people feel a slight warming sensation during the procedure. No pain medication is needed and most people find the treatment very easy to tolerate. Treatment course includes three treatments about 6 weeks apart with treatments taking approximately 10-20 minutes. The laser is a specially designed, medical device that shines a laser/light beam through your toenail and vaporizes the pathogens embedded in your nail bed and nail plate that cause toenail fungus. The laser light beam does not harm the nail or surrounding skin. While some patients may experience mild discomfort from the heat the laser generates, usually the treatment is painless, and there is never a need for anesthesia. On average, our appointments last less than an hour and the vast majority of our patients require only one treatment. Whether you have one nail with fungus or more, we carefully treat all ten toenails to ensure that any pathogens are vaporized. We are committed to providing the best quality laser treatment available to every one of our patients. Results are showing that the vast majority of treated patients show significant improvement and in most cases, fungal nails are completely clear. Beautiful toenails can be a reality for you! A big toenail will replace itself in 12 to 18 months and a lesser toenail will do so in 9 to 12 months. Healthy new growth will be visible in 4 to 5 months.The laser treatment will not cause your toenails to discolor or fall off. 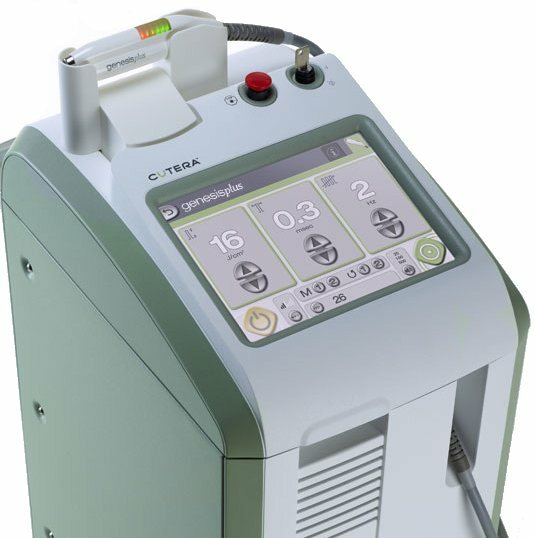 There have been NO adverse reactions, injuries, disabilities or known side effects associated with laser treatment. As you may know, oral medication available today for treating toenail fungus carries with it possible serious health risks (commonly the liver and kidneys). The laser treatment has no known side effects. We only use laser technologies that have been cleared by the FDA specifically to treat onychomycosis (toenail fungus). Can I walk after the treatment? Yes – the treatment does not harm you in any way. You will be able to put on your shoes and walk out of the office, just as well as you walked in. You can wear shoes and pedicures are not prohibited after laser treatment. Laser treatment is considered theraputic in relieving a fungual infection as well as being aesthetic and therefore may be covered under your Podiatry coverage under you extended insurance plans. As well treatment is affordable. The cost for many patients is LESS than expensive prescription medications they have tried in the past, often without success. We offer several payment options and our staff will be happy to answer any questions you have. This is NEW laser technology and has only recently become available to the public.